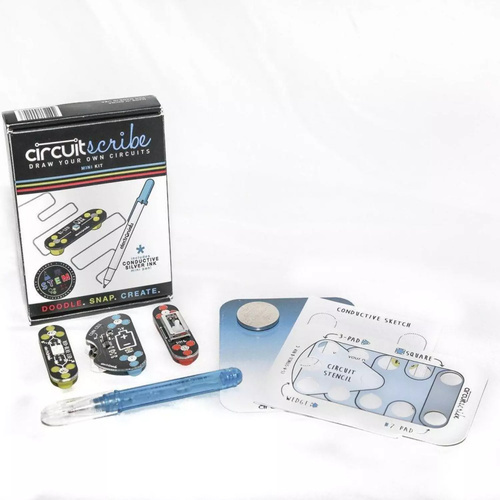 The newest (and smallest) member of the Circuit Scribe family is the mini kit! 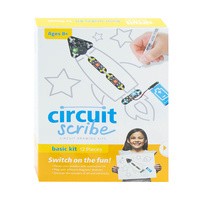 Featuring a miniature version of our conductive ink pen it is an accessible introduction to electronics. 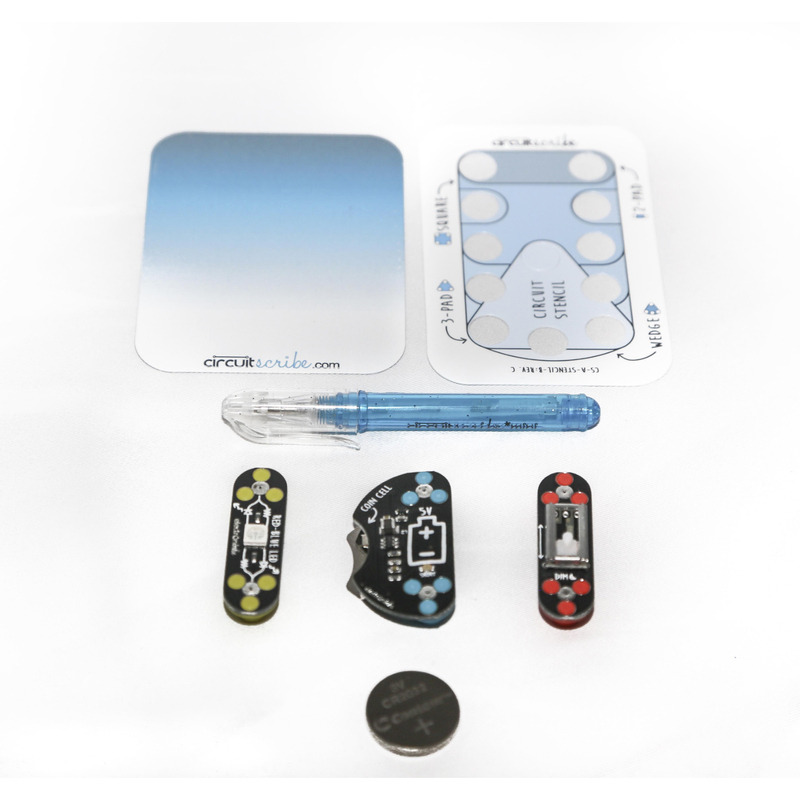 The kit comes with a coin cell battery holder (which boosts the voltage to 5V) a slide potentiometer and an LED. 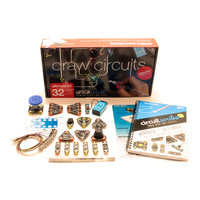 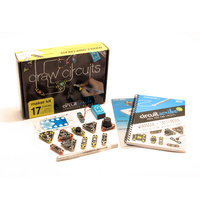 Explore basic circuit concepts by drawing conductive doodles creating paper-based switches and fading the LED on and off with the slider.